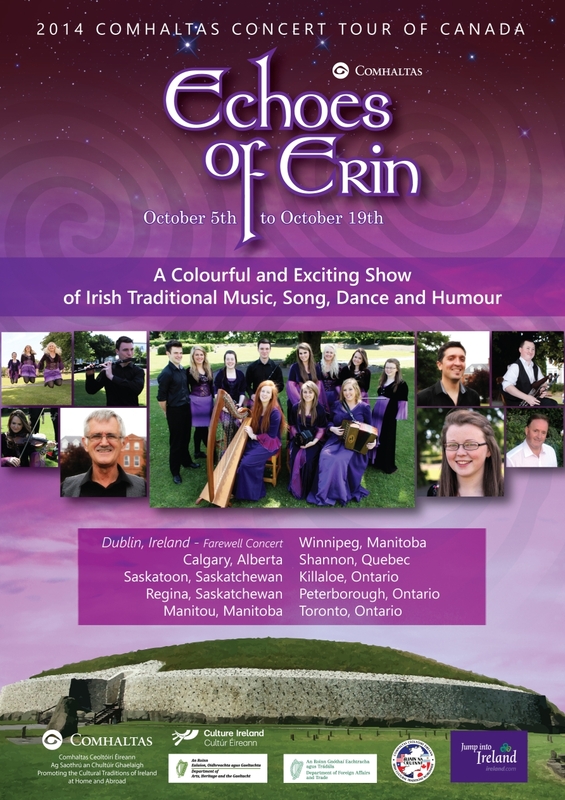 The Comhaltas Tour of Canada – Echoes of Erin started on Wednesday October 8th in Saskatoon, Saskatchewan. For audiences in Canada, the Echoes of Erin tour provided a fantastic showcase for all that is best in Irish traditional music, song and dance. Top class performers in all fields displayed the highest standards and regional styles of music, song and dance. These are the same performers who have already thrilled audiences throughout the length and breadth of Ireland during the Comhaltas Irish Tour 2013 and the UK in early 2014 during Echoes of Erin Tour of Britain. The 2014 Comhaltas Tour of Canada was sponsored by Tourism Ireland.